Whether a company is considering a rebrand or evaluating the feasibility of a new product, it's likely to consult the analytics and insights derived from its data before moving forward with any initiative. That's why understanding data analysis tools, like Microsoft Excel and Access, can dramatically increase your value to employers on the market. Of course, these programs have a reputation for being dense and tough for newcomers to grasp, but the Microsoft Data Analysis Bundle can help you navigate past the learning curve and leverage these tools as a valuable data analysis expert, and it's on sale today for $29. 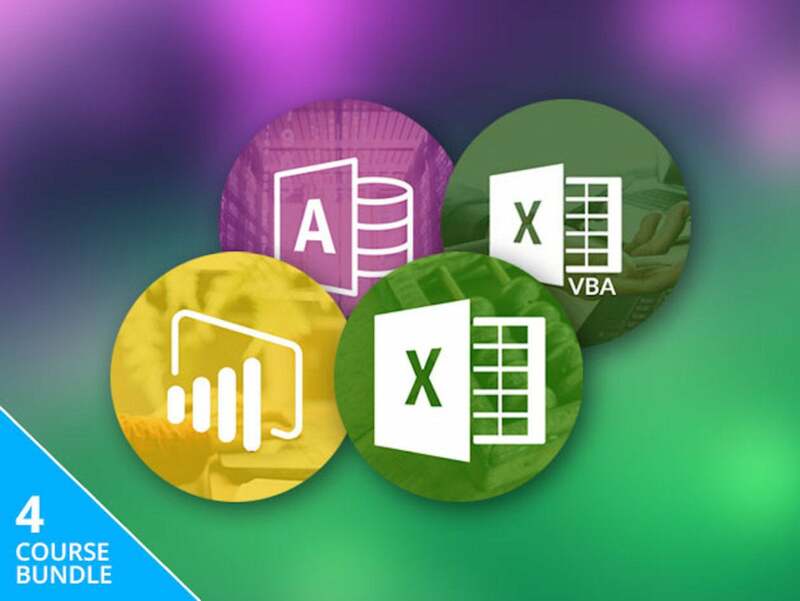 This four-course collection boasts more than 30 hours of training in Microsoft Power BI, Excel, VBA, and Access. First, you'll get your feet wet with Microsoft Power BI, an intuitive tool that enables business users to interact with corporate information and extract meaningful reports. In this first course, you'll learn how to parse through mounds of data and organize them into gripping visualizations that present key business insights. Next, you'll take on Microsoft Excel and VBA (Visual Basic for Applications) as you learn the nuts and bolts behind automating spreadsheets to organize raw data. You'll also dive into writing and implementing Excel events, using input boxes and message boxes to interact with end users, and creating cross-functional flowcharts. Lastly, you'll take your automation knowledge further with Microsoft Access. Here, you'll learn more about using macros and VBAs to automate tasks take better control over your database. You'll follow along as you learn to create and maintain macros and even test your knowledge with an online quiz that includes a certificate of completion. The Microsoft Data Analysis Bundle typically retails for $1,104, but today it's on sale for $29, more than 90 percent off its normal retail price.